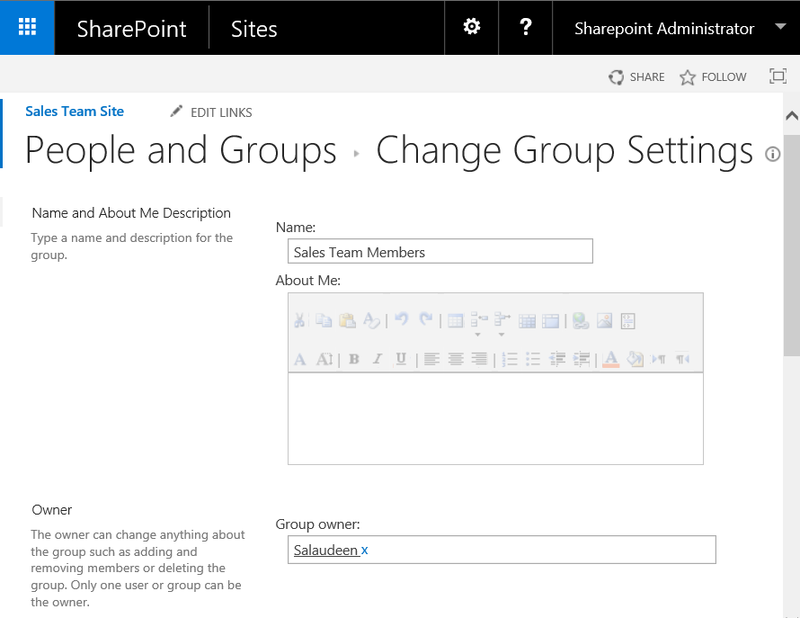 Problem: SharePoint group owner cannot add user! group owner gets access denied. Root cause: Its a common misconception that group owners get access automatically as you made them owner of the group! Just because you made someone as "Group Owner" doesn't mean they get access to the site! They can't access the site, until unless you actually grant permission to that group owner user. And its also true that group owner can't add/remove users unless they have "Manage Permissions" rights! Solution: So, the solution is grant permission to the user by adding them to appropriate SharePoint Group or to the Active directory group which has access to the site already! This gets them the access to the site. And to add other users to the group, the group owner should have permission level consists of permission "Manage Permission" (such as "Full Control").